Intent: While the VSF has created men for most any situation, from melee to sniper to explosions, they still need a grunt to act as the main troops when the VSF’s men are ordered or needed en masse. Alsatian Battle Rifle holds a Shield function which can be used to defend themselves or others in the field. Valkyrie System allows soldier to keep moving through the battlefield, via a supply of stims and minor injury remedies. HUD can be hacked, leading to dangerous misinformation. 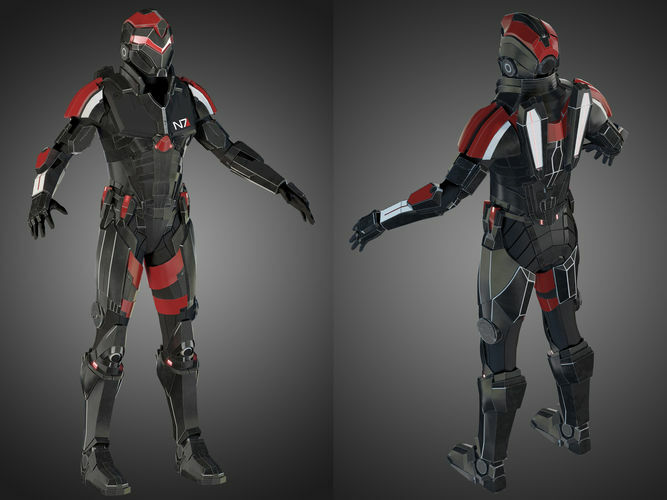 Description: Formed from a conglomeration of various species, the VSF Shepherd was originally trained to fight for the Vitae Alliance and as planetary soldiers for Veradune. VSF Shepherd was made to fill the bulk of the VSF, yet despite holding a near grunt like role, each Shepherd is trained in the deadly environment of Veradune. With an entire planet seemingly hellbent on killing them, each unit is prepared for even the harshest battles upon leaving their academy. Their jobs often very between missions, occasionally serving as bouncers for a popular nightclub, or as soldiers in a deadly battlezone. Their main tool is their adaptability which they employ to ensure their greatest chances of survival. This adaptability often comes in the form of cross-training. As casualties are an inevitability on the battlefield, VSF Shepherds have been trained to take up the roles of other members of their fireteam, to include grenadiers, heavy gunners, and snipers. However, this training is not specialized, and as such, they simply serve as a substitute should the role be absolutely necessary on the battlefield. Edited by Vulpesen, 13 June 2018 - 11:21 PM. Can you expand on this a bit? What areas are they cross trained into (there are a huge number of specializations) and how good are they? Merely acceptable? Better than that? From the armor sub it looks like this is primarily stims and for minor injuries, can you just clarify that here please. With an entire planet seemingly hellbent on killing them, each unit is prepared for even the harshest battles upon leaving their academy. This is in your description and honestly it sounds like it ought to be represented in strengths. I'd like you to either tone down the language here, or add it to strengths and include an additional weakness. This adaptability often comes in the form of cross-training. As casualties are an inevitability on the battlefield, VSF Shepherds have been trained to take up the roles of other members of their fireteam, to include grenadiers, heavy gunners, and snipers. However, this training is not specialized, and as such, they simply serve as a substitute should the role be absolutely necessary on the battlefield. Edited by Vulpesen, 13 June 2018 - 11:26 PM.